The Topsoil compilation albums were a lot of fun, every band seemed to get a song on at least one of them while they were being produced. The song The Housebreakers put on “Parting Shot” turned out very well. The groove Andy and I got is really cool, and what about having a trombone in a rock band? 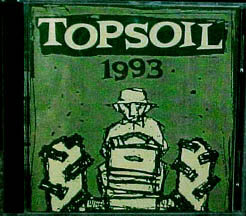 It’s worth checking out any of these Topsoil compilation CD’s if you can find them.